Bitterly cold temperatures as low as 16 below Zero and wind chills of up to 35 below Zero across the nation will mean murder and death to homeless persons left out on the streets day or night. The killer is the weather. A man cannot remain outside even in partial shelter from the wind overnight. 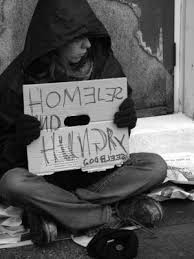 Even with mild weather the plight of both homeless families and especially homeless men do not permit them to live with any dignity. They are highly vulnerable to being the victims of crime. What would you do tonight if you did not have somewhere safe and warm to be? Members of the Stewards of Prophetic, Hopeful, Intentional, Action SOPHIA, will address a local Wisconsin City Council in Waukesha at 7:30 tonight at 201 Delafield St. in that city. The question that will be called up for consideration by the City of Waukesha will be an allocation of $20,000 to allow Waukesha’s Men’s Overflow Shelter to get funding that will keep it open several extra weeks. The Shelter does not have the money to keep itself open and without it there will be no place for homeless men to go at night when conditions are at their worst. As it is the overflow shelter in the first place was a response to a need that could not be met by charitable shelters for the homeless; the numbers were that large. Nationwide tens of thousands of people tonight in city after city, and for much of the winter will face the possibility and with the extreme cold of these last few nights what is potentially fatal for them. 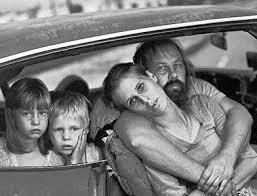 Without a home, without hope, grasping at anything they cry out to us for help. What obligations do those of us with the means or who have the ear of government have to see to it that we act and act decisively to find out what the situation is in our communities regarding the homeless? With the cuts in Federal Spending and a possible re-introduction of the Sequester, a good deal of the public resources to help these people is simply drying up and going away. Theologian Howard Thurman has said that whatever we achieve in relation to God must also be achieved in “the context of the social situation by which his daily life is defined. What is disclosed in his religious experience he must define in community.” Then it was black equality that was uppermost in Dr. Thurman’s mind. But just as easily it could be making your religious belief and personal relationship to God or the ethics you have as a foundation for right action relate directly to others; people of all backgrounds who inhabit the world with you. You are not some isolated individual happy and content on your own island of security and safety. Collectively we have a responsibility to act for others in a manner that aligns with faith or an ethical construct that animates us personally. So what will you do to speak up for the homeless? There is that opportunity this evening at 201 Delafield Street in Waukesha,, Wisconsin to stand up and be heard. If a city of that size cannot find $20,000 more dollars to keep the shelter going then it raises the most fundamental ethical questions about permitting the homeless to occupy our streets and lay themselves in alleys, and on doorsteps not permitted inside. What is happening in your city with the homeless is an index of the social responsibility the community has for dealing with those most vulnerable and voiceless around us. One thought, the homeless could be at the meeting and speak, and then keep warm for the two hours or so that the Council Chambers are open. But public facilities like libraries and the city and county building and area business close their doors at night. What then? This entry was posted in Community and Citizen Action, National Affairs, The Faith Community and tagged Arctic Cold is a Killer for Homeless, City of Waukesha, Homeless, homeless families, homeless men, Homelessness, shelter, Shelters for the Homeless, Waukesha, Wisconsin City Council. Bookmark the permalink. Many heartfelt thanks! Bravo! The Editor!